NORTH ARLINGTON, New Jersey (WABC) -- Angry parents and students in New Jersey attended a meeting on Wednesday night demanding answers about the planned closure of their Catholic school. Approximately one hundred people showed up for the meeting at the Queen of Peace Church about the closure plans the Archdiocese of Newark have for the Queen of Peace High School. Eyewitness News initially covered the story of the Archdiocese' plans on Tuesday. The Archdiocese says it has no choice but to close the school due to ongoing financial problems, but parents say that the decision isn't right. Parents and alumni have fought hard to save the school that's suffered years of financial mismanagement by raising more than a million dollars. 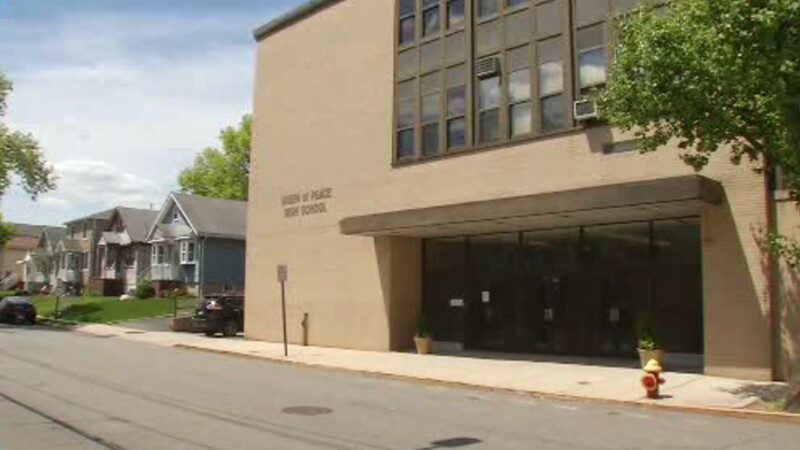 Parents also told Eyewitness News that they were recently assured that the school would stay open and even be able to able to admit 300 new freshman next year. The graduating class of 2017 will be the last at Queen of Peace after they close their doors on June 30th.